Girlguiding Ulster's vision is to live in an equal world where all girls can make a positive difference, be happy, safe and fulfil their potential. The aim of guiding is to help girls and young women to develop emotionally, mentally, physically and spiritually so that they can make a positive contribution to their community and the wider world. 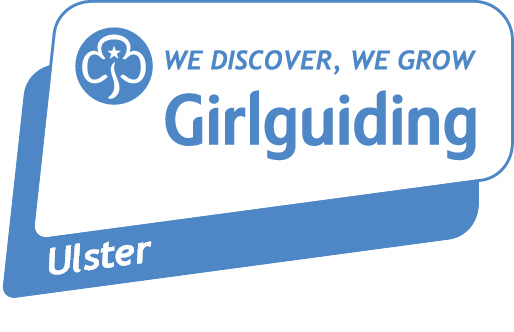 Girlguiding Ulster has 12,000 members throughout Northern Ireland and is currently growing its membership in may areas where guiding has not existed before. Girlguiding provides a programme of challenging and enjoyable activities, delivered by trained volunteers, out of school hours and during holidays.Our programmes promote the personal and social development of girls and young women. Girlguiding Ulster offers young people a wide range of activities and opportunities, including creative arts, sports and outdoor education. Residential experiences provide a challenging learning environment beyond familiar surroundings. Trips and exchanges offer opportunities for young people to increase their understanding and awareness of our world, its people and cultures. Girls and young women also take part in programmes such as the Duke of Edinburgh Award and Queens Guide Award. Working together in small groups - gives girls a sense of identity and belonging. Girls learn about team work, relationships and leadership, they share experiences and take responsibility. Decision-making as individuals and groups – enables girls to have ownership of their programmes and to play a full and active part in decision-making throughout Girlguiding UK. A balance and varied programme which is girl-led – girls are encouraged to learn-by-doing and acquire skills for life. Guiding enables girls to meet challenges and actively contribute to society. Guides care for the individual and their fulfilment – learning how to listen and be sensitive to the needs and wants of others is an integral part of learning about relationships. The small group structure also helps to create an emotionally safe and supportive environment for individual development to take place. A shared commitment to a common standard – the Promise and the Law are central to our programme and express a collective commitment to the values of guiding and emphasise active citizenship and spiritual development. Active citizenship encourages girls and young women to take positive action in response to needs they identify in their own community and in the wider world.